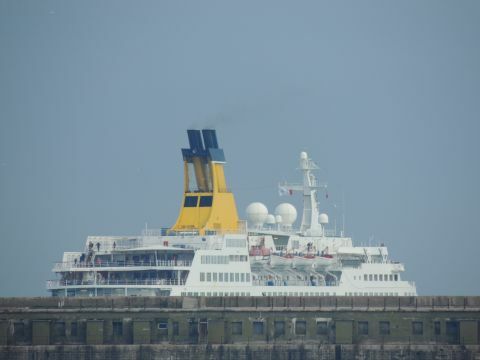 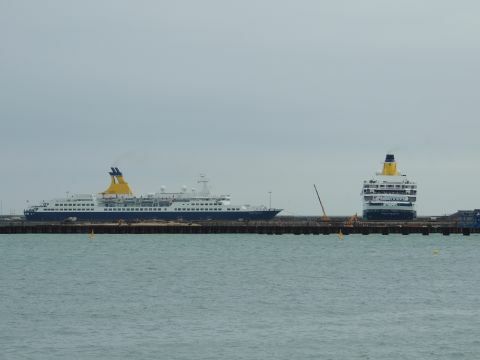 It was the final time the current Saga ships would be doing a turnaround together in a UK port on the 5th June 2018. 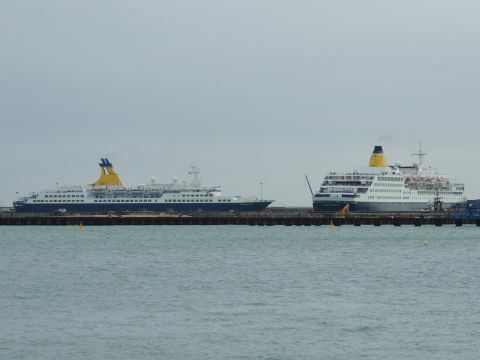 They were due for 8am and a couple from Deal were waiting for them too. 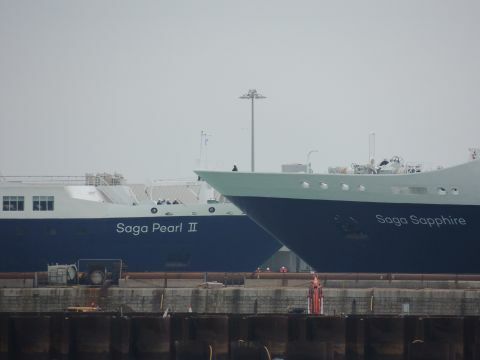 Sapphy arrived first followed by Pearl. 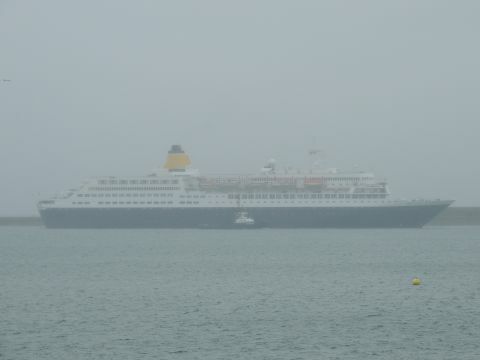 It was a shame it was so misty with drizzle, which hadn't been forecast, but great seeing them anyway. 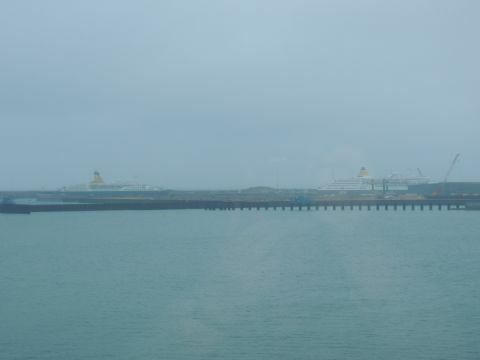 Afterwards, I returned to the hotel and enjoyed by double Saga view! 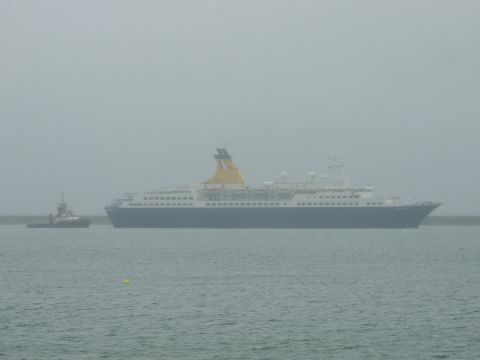 Both were scheduled to sail at 4pm and at least the weather was better, though still windy. 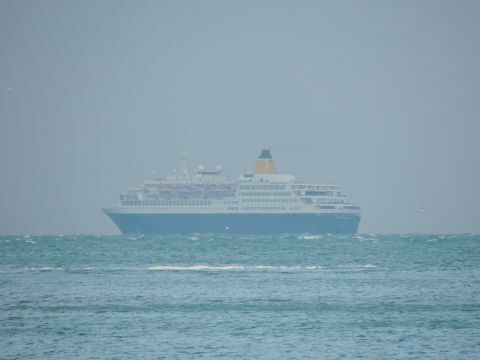 The couple in the morning from Deal were back again. 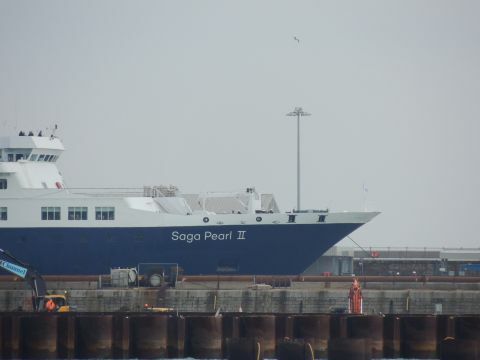 Sapphy left 25 minutes late, followed by Pearl a further 25 minutes later. 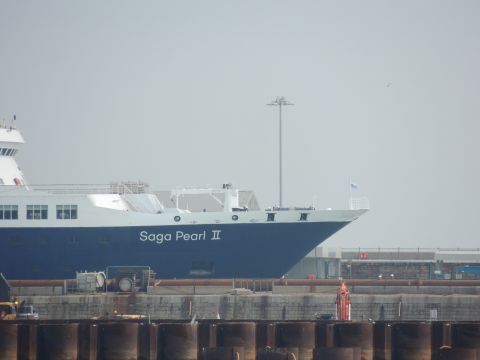 Sapphy turned in front of Pearl. 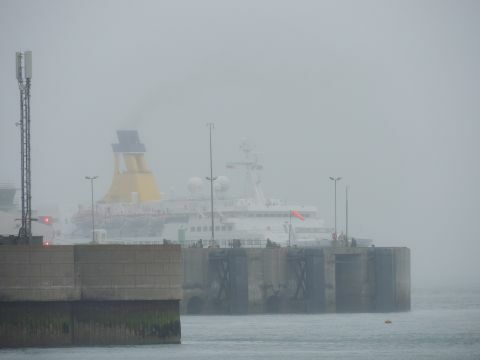 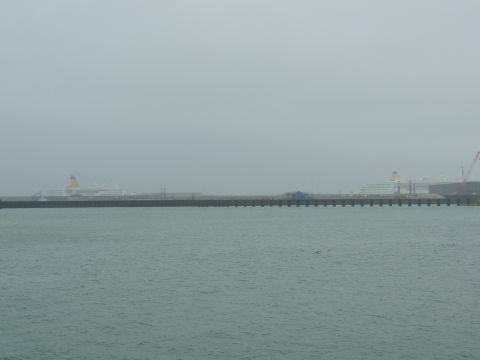 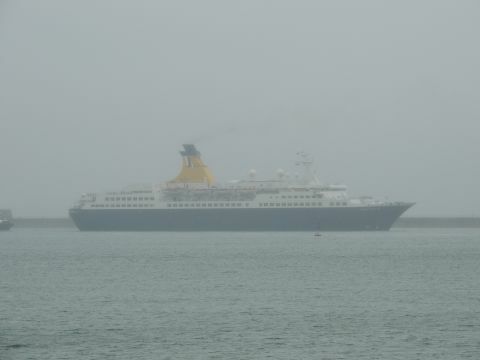 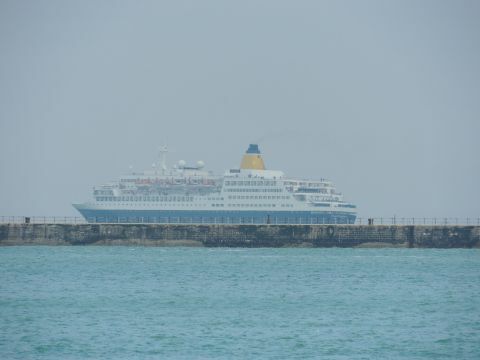 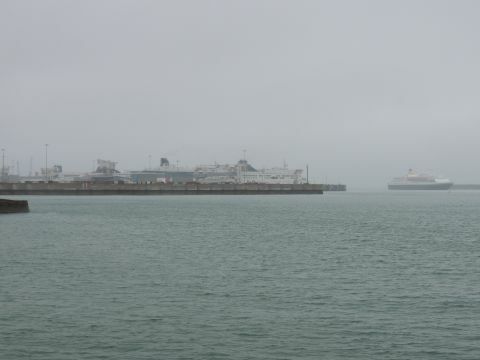 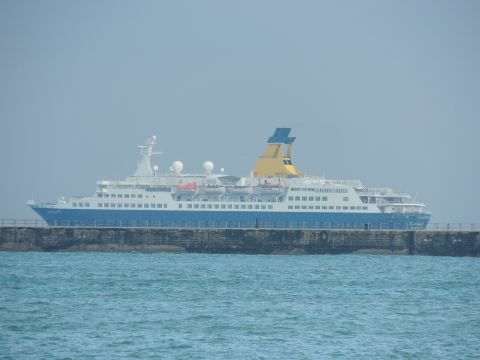 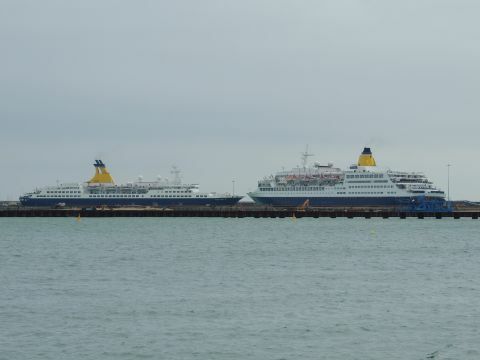 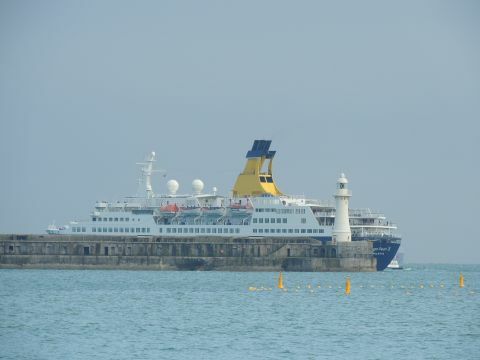 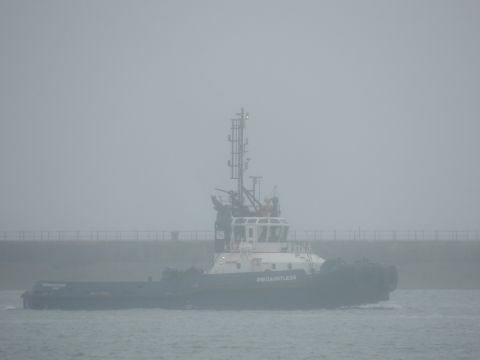 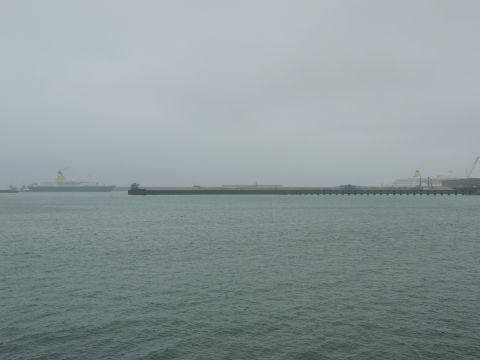 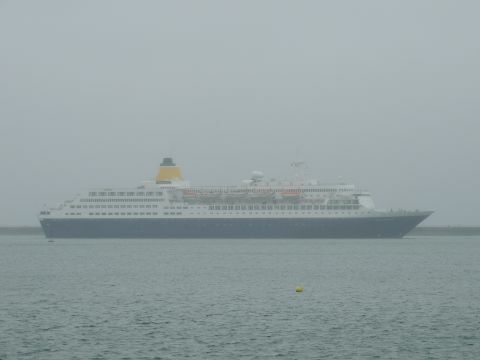 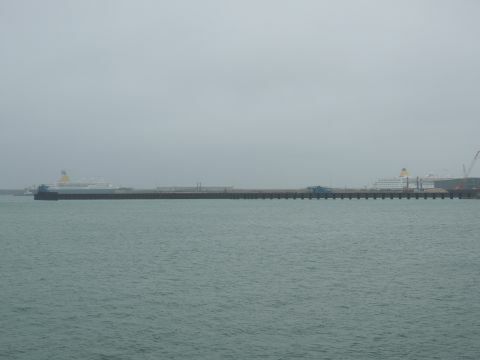 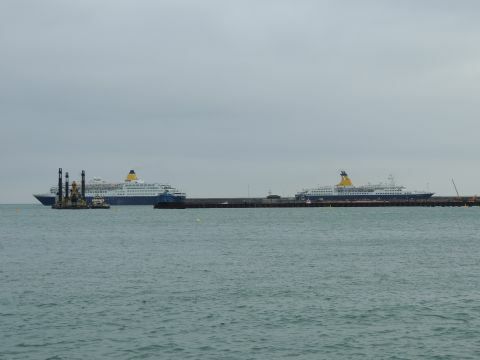 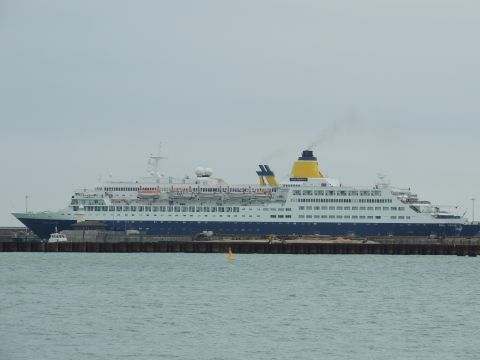 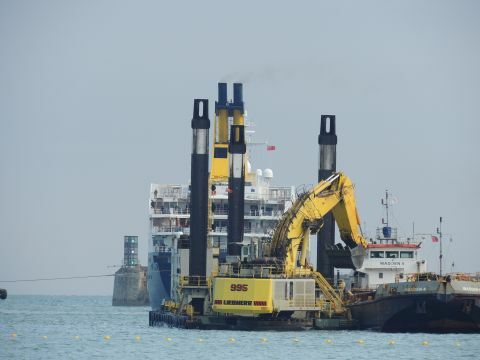 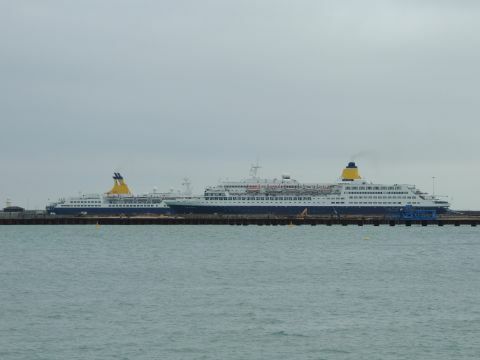 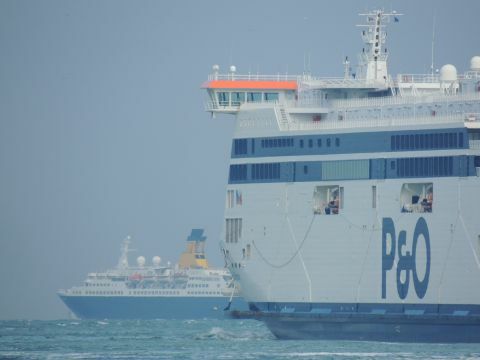 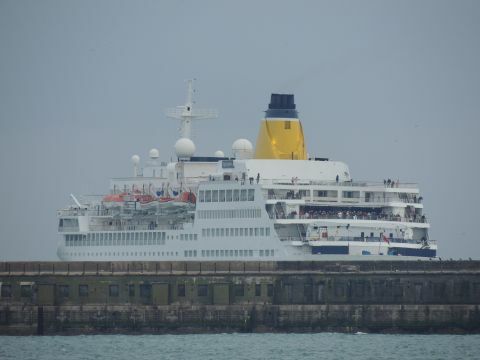 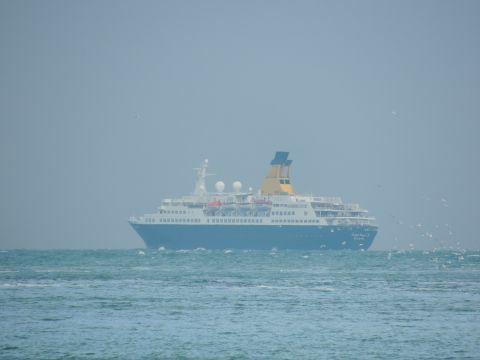 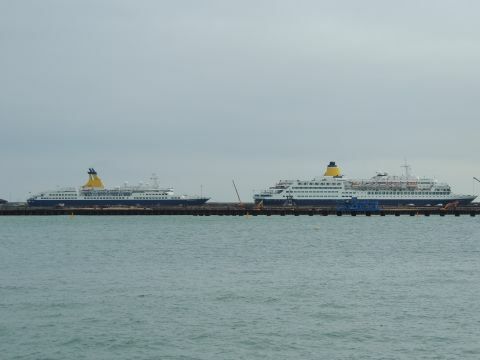 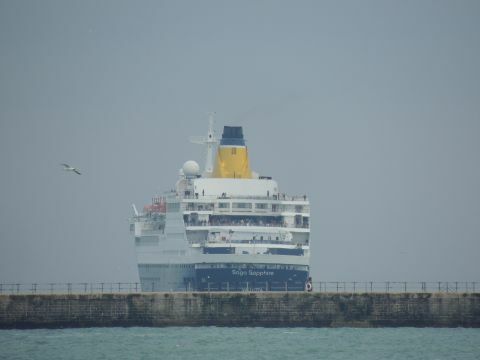 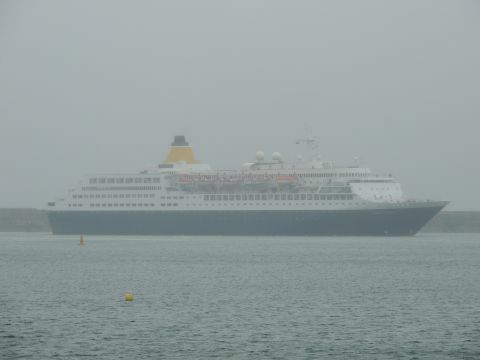 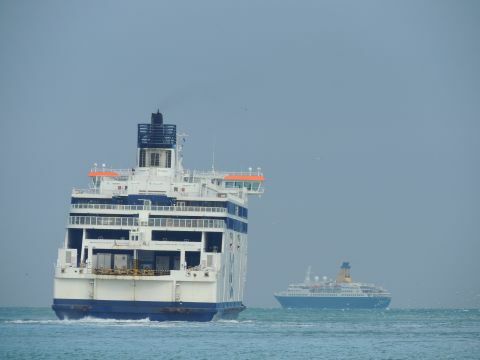 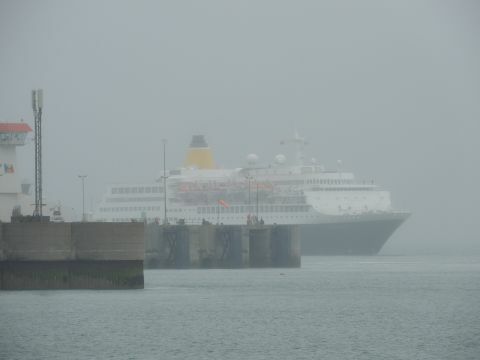 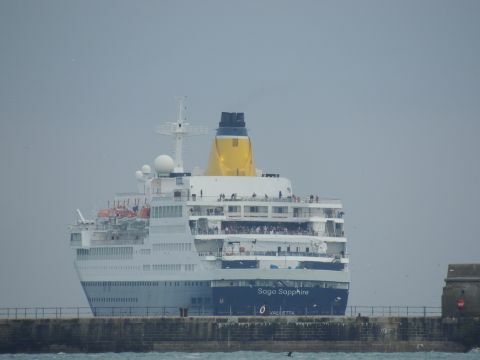 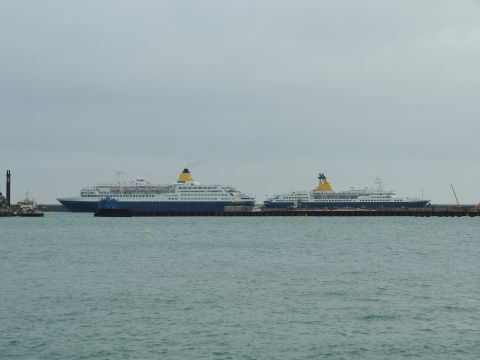 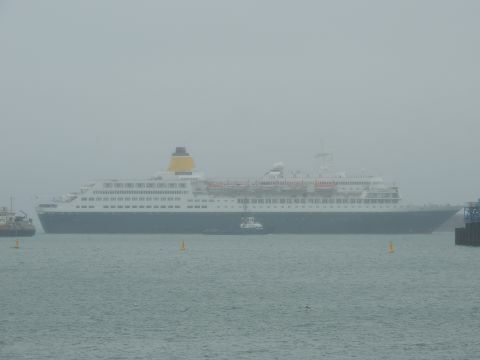 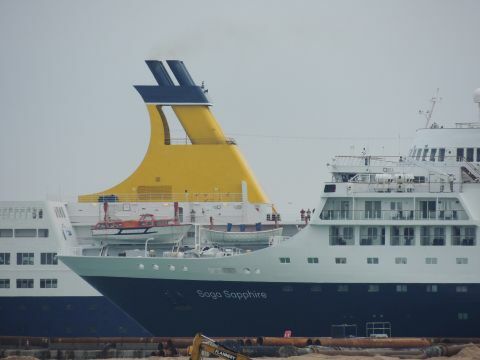 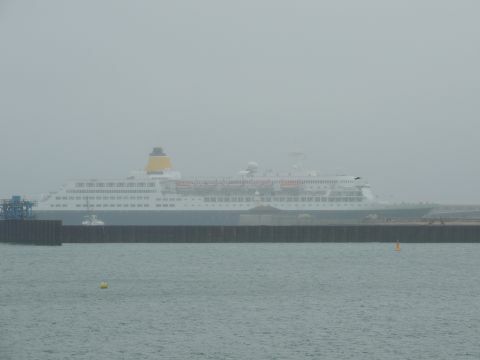 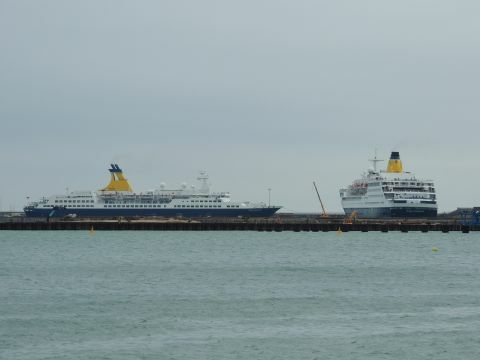 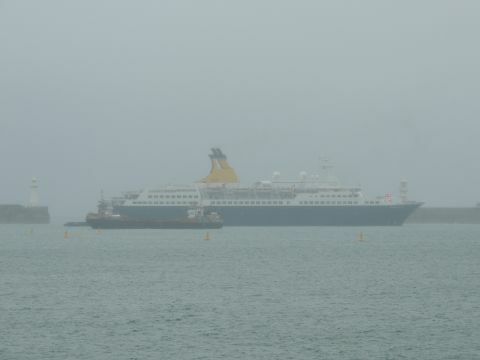 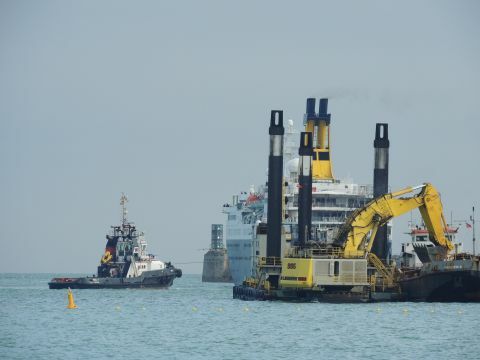 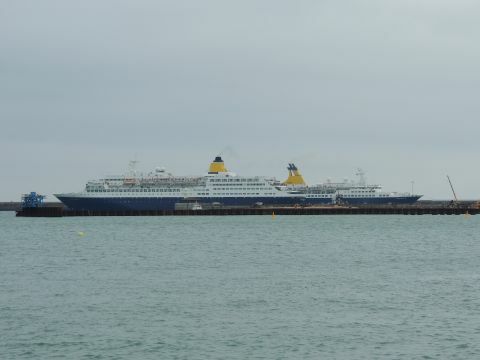 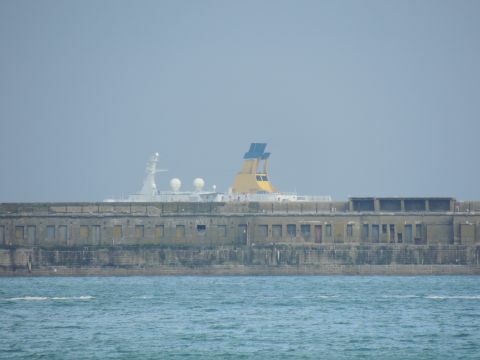 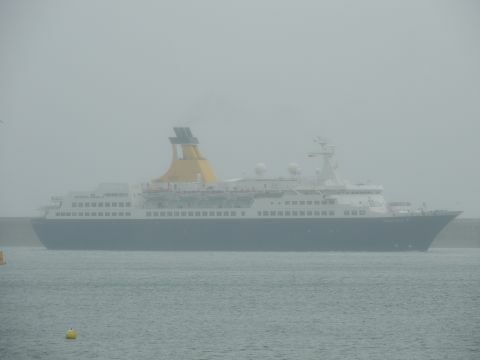 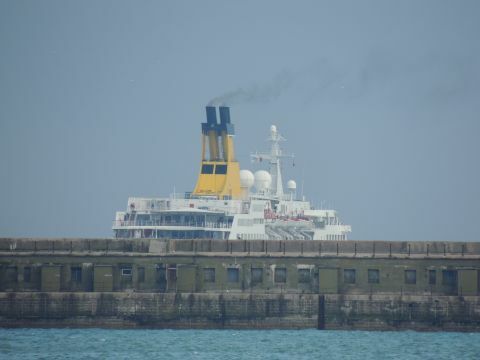 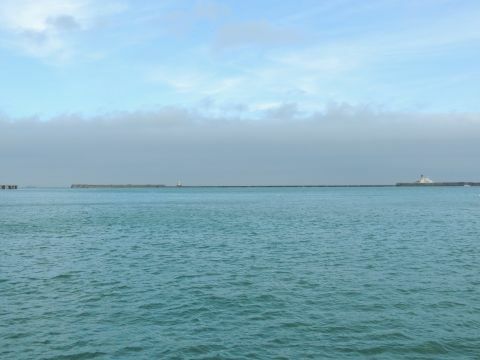 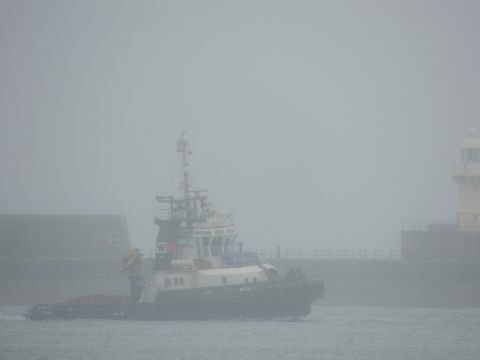 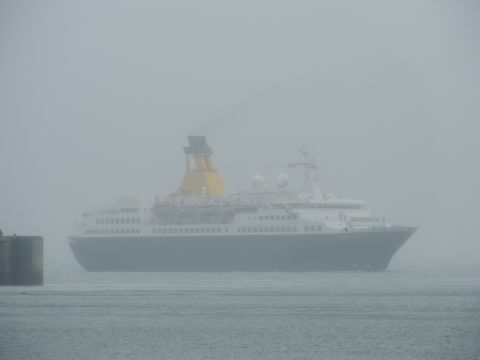 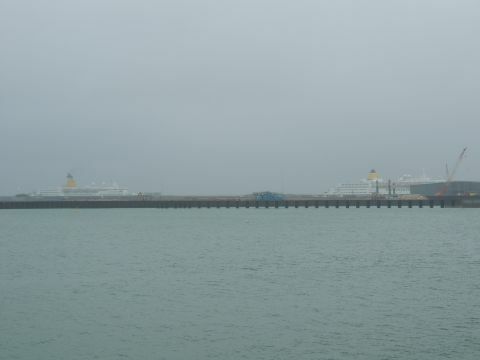 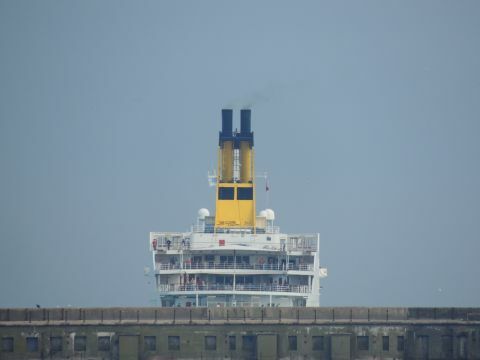 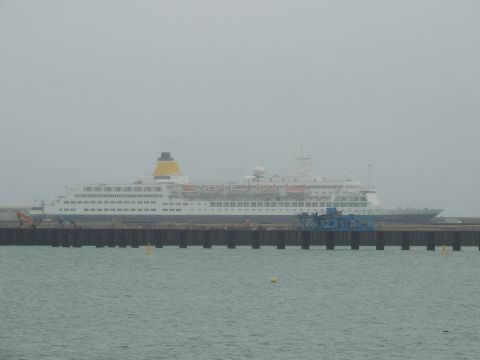 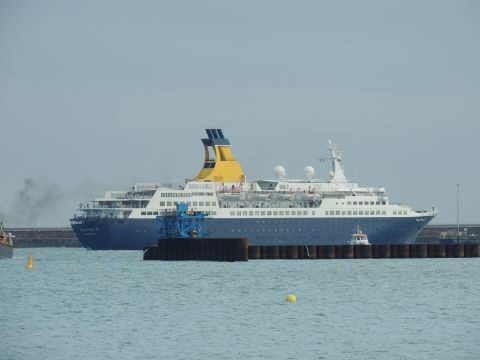 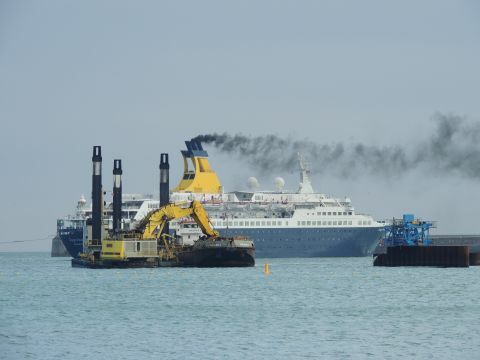 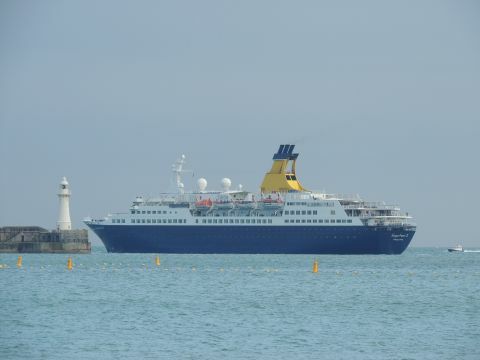 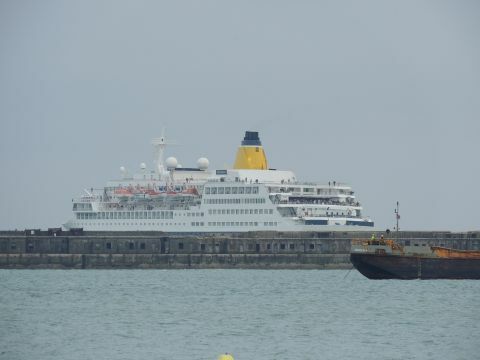 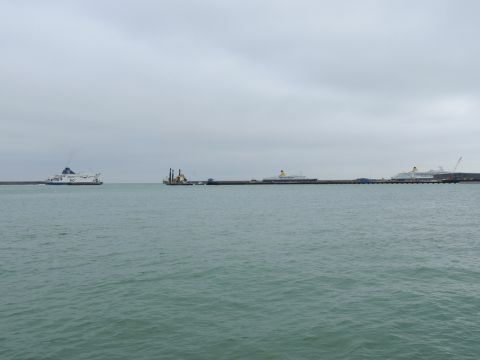 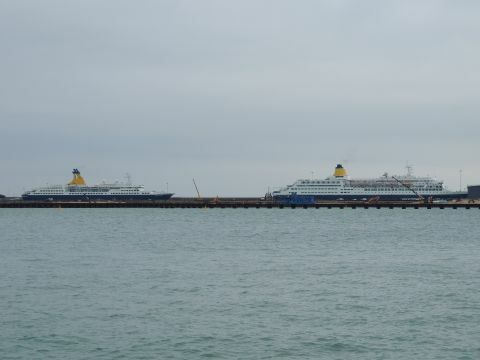 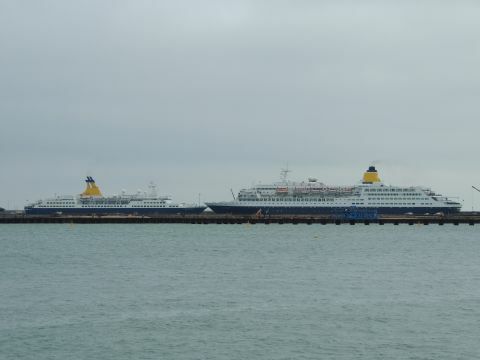 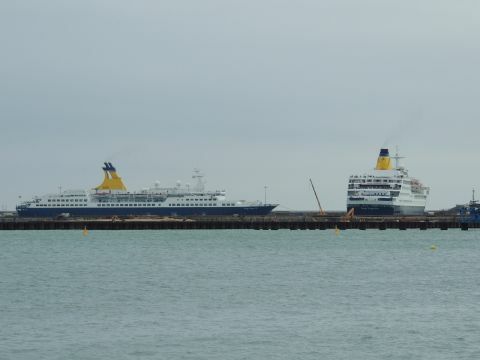 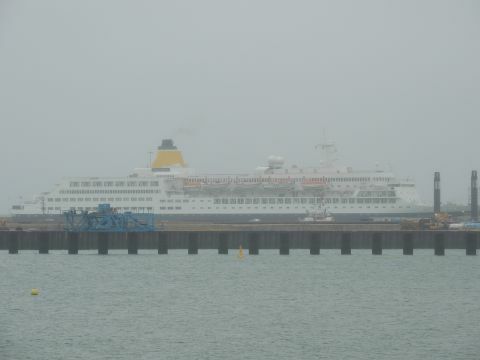 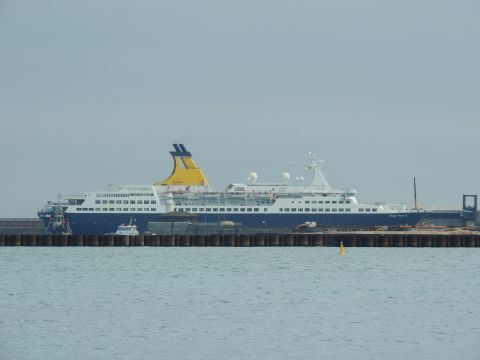 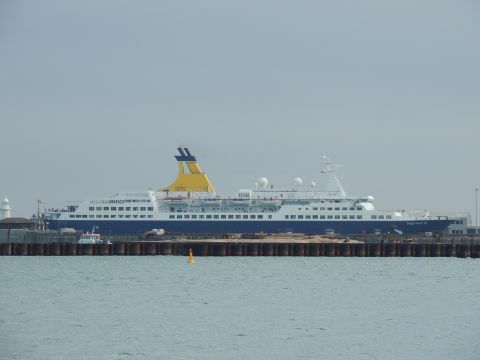 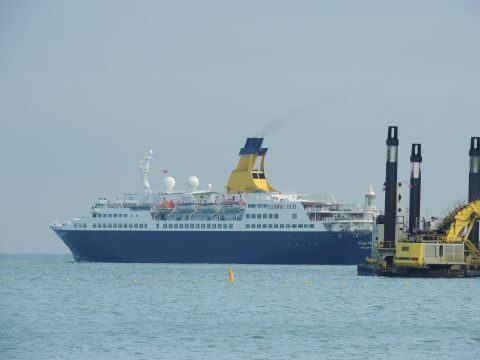 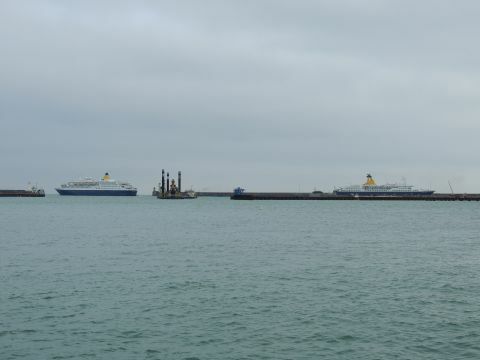 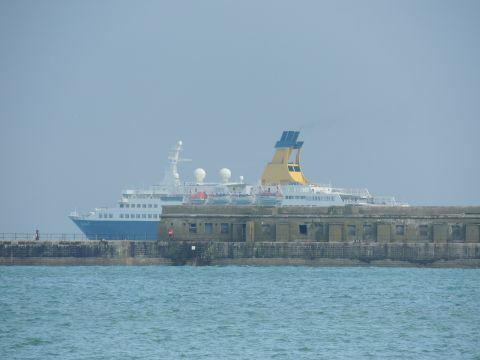 Last time I had seen two Sagas in Dover in 2013, Sapphy went astern past Ruby then turned, so this was enjoyable to see. 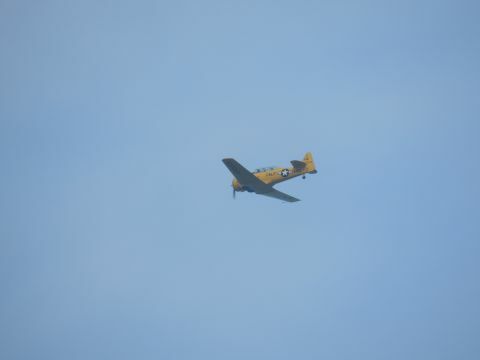 As Pearl moved, a Spitfire and Harvard (North American T-6 Texan) flew overhead. 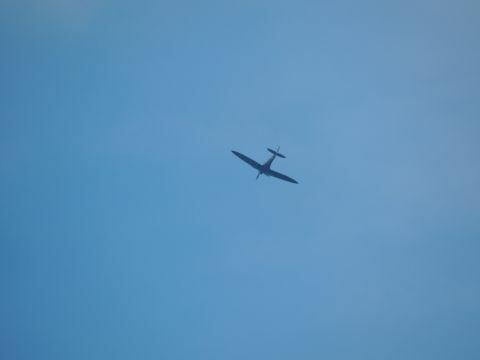 There's a company in Kent which sell trips in a Harvard flying with a Spitfire for around £18,000, so it was probably that.